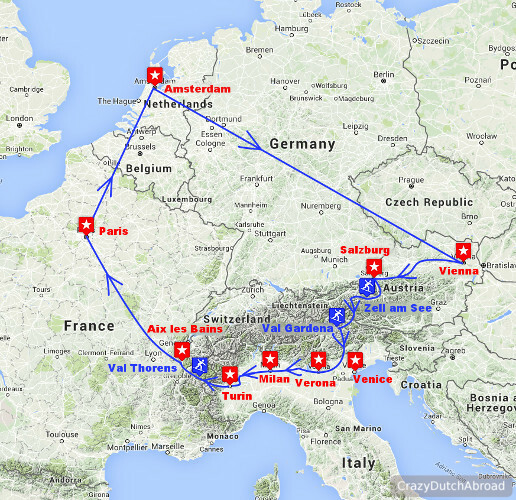 Expedition: Backpacking in the Alps! One month of winter sport, February / March 2016! Backpacking & snowboarding in the Alps! Selecting and comparing ski areas; slopes & heights, apres-ski, restaurants & accommodation + how to get from one ski area to the other with public transport! Click on the buttons below to zoom in on our journey! Stay tuned for more information about city trips in Europe that are easily combined with your winter sport holiday!